This post may contain affiliate affiliate links for your convenience, see my full disclosurefor more info. Share with your hiking buddies! One of the great things about hiking is that it doesn’t absolutely require as much gear as many other sports. It’s easy for just about anyone to go out and hit the trail without spending a fortune on supplies. Still, it is important to invest in a few essentials to help you stay safe and comfortable during your trek. 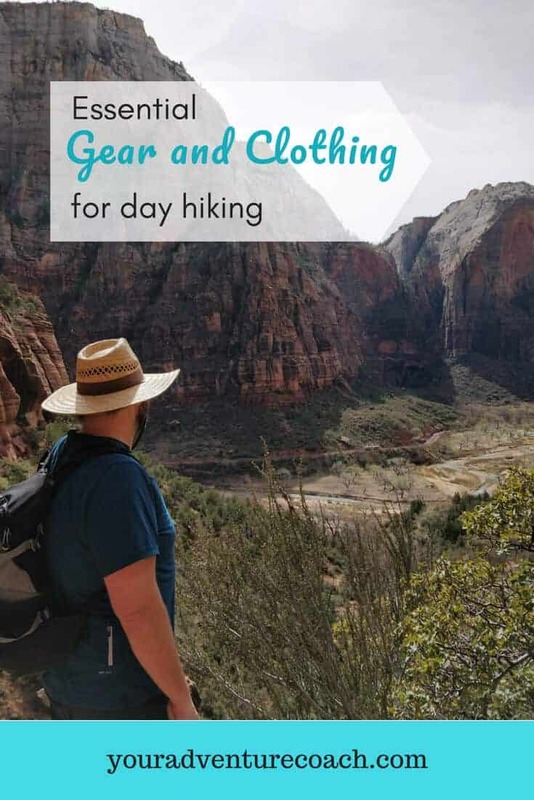 The exact gear and clothing you need varies depending on where and how far you are hiking. The weather is also a huge factor—especially when it comes to clothing. 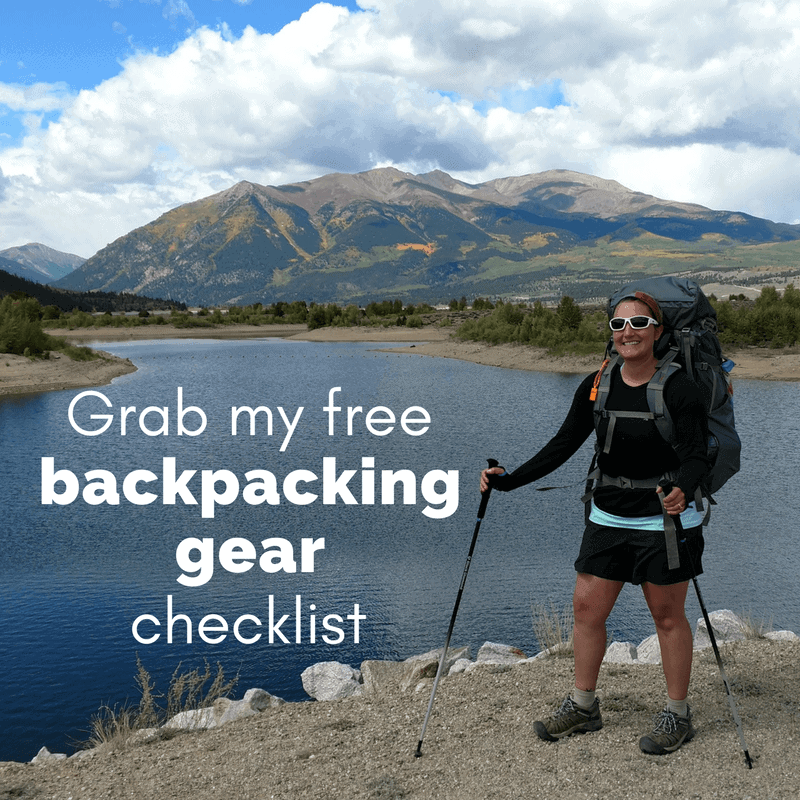 If you are visiting a heavily traversed local trail on a bright, sunny day, you won’t need to pack as much gear as you would if you were planning a solo trek into the backcountry. 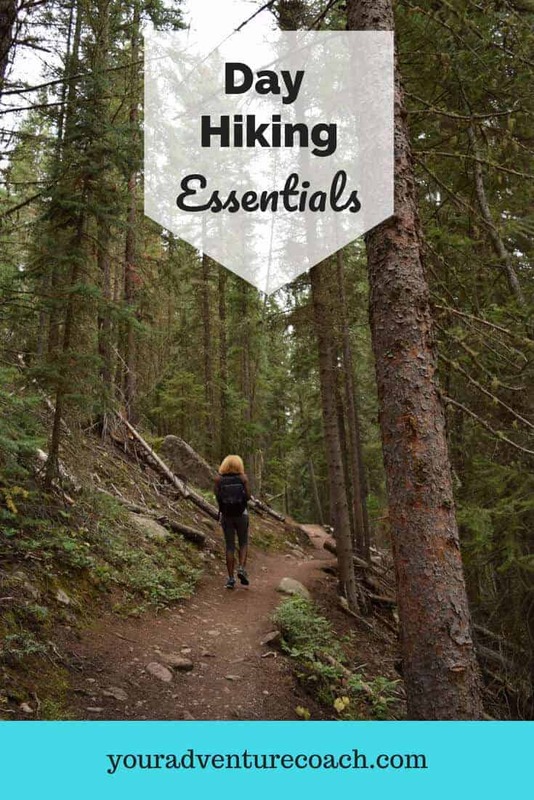 While your exact needs will vary greatly depending on where and when you are hiking, there are a few day hiking essentials you should never be without. First things first. You need to be dressed properly when heading out on the trail. This usually means dressing in layers. During the summer, you’ll want to wear a lightweight t-shirt made from a synthetic material like polyester. Polyester shirts wick moisture away from your body and help you stay cool. During colder weather, opt for thermal underwear as your base layer. A wool set is better than a set made from cotton, as it will help you stay dry and warm. You also need the right shoes and socks. 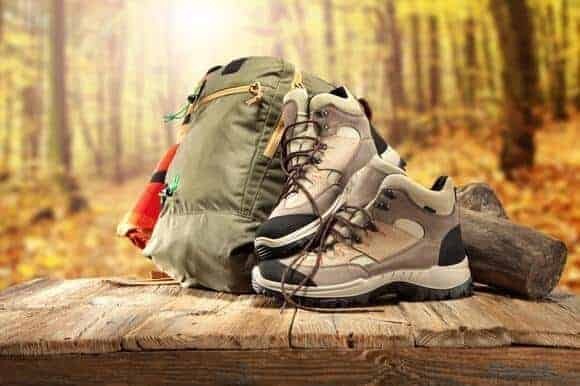 Investing in a good pair of hiking boots is a good first step for any new hiker. Good boots protect your feet and ankles when you are walking on uneven terrain. Depending on the pair you choose, they can also help you stay dry or protect you from snake bites. Don’t skimp on socks. A pair of wool hiking socks will help keep your feet dry and provide a bit more cushioning than your old cotton tube socks. Packing some extra clothes is also a good idea. Having an extra layer or something to change into if you get wet can be a lifesaver. Having some type of navigation equipment is a must. GPS is a great option, but don’t rely on your phone. You may not have sufficient signal, or your battery could die. There are several products on the market that work using satellite signal, and these can be used to send a distress signal if you find yourself in need of help. 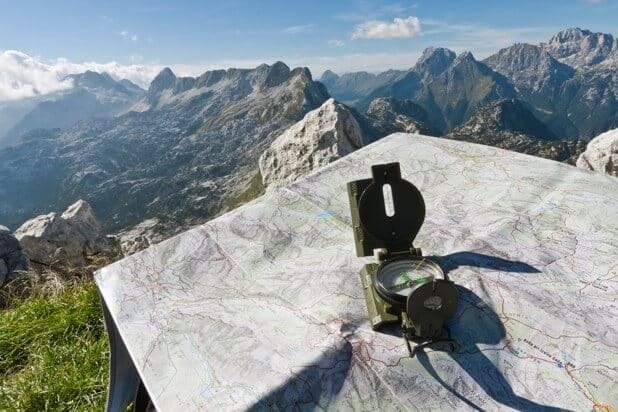 Regardless of all the high-tech navigation systems available, though, it’s never a bad idea to keep a good ol’ map and compass handy. You may not plan on your hike being an overnight one, but complications could leave you stuck out on the trail at night. Having a flashlight or headlamp in your pack means you won’t be stuck in the dark. Headlamps are ideal because they are lightweight, have a long battery life, and allow for hands-free operation. Even if you are heading out on a cloudy day, it’s a good idea to pack some sun protection. Sunglasses are an absolute must. Look for a high-quality pair that blocks 100% of both UVA and UVB. Sunscreen is also indispensable. Choose a formula with a sun protection factor, or SPF, of at least 30 for extended outdoor activity. Make sure it will protect you from both UVA and UVB rays, and remember to reapply as needed. Even if you choose a sweatproof product, it’s still smart to reapply it every two hours or so. Keep in mind that sun burns happen more quickly and more severely at higher elevations, think 5,000 feet and above, so you may have to reapply more often and more generously than at lower elevations. Every hiking pack should be equipped with a first aid kit. Depending on your location, you may also want to consider a snake bite kit. No matter where you are, though, your first aid kit should contain, at minimum, blister treatment, gauze pads, adhesive tape, adhesive bandages in various sizes, over-the-counter pain medication, and antibiotic ointment. If you take prescription medications, it doesn’t hurt to have a day’s worth of your normal dosage in your kit. Day-trippers should always carry some form of emergency shelter. If your day trek turns into an overnight stay because you got lost or injured, something to protect yourself from wind and rain is better than nothing. A lightweight tarp, an emergency space blanket, or even a large trash bag will provide you with a degree of protection in an emergency. A multitool is a great thing to have at your disposal when hiking. It can be used to repair gear, make kindling, prepare food, and more. When shopping, look for one that has at least one foldout blade, a can opener, and one or two flathead screwdrivers. Tools that have a pair of foldout scissors are extremely useful as well. 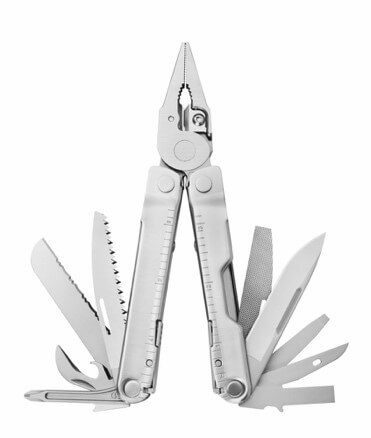 Choose a high quality brand like Leatherman to help ensure that the tool won’t break when you need to use it. Always bring at least an extra day’s worth of food. Things like energy bars, jerky, nuts, and dried fruit are lightweight but provide adequate nutrition. Always pack at least one water bottle, as well as a collapsible water reservoir. Some type of water filtration device could prove to be a lifesaver in an emergency situation. Always carry a means of making a fire. If you are heading into the backcountry, waterproof matches are a must. Take more than you think you’ll need, and keep them as dry as possible. Skip the convenience store matchbooks. They aren’t reliable enough for potential use in a survival situation. Feel free to pack a mechanical lighter, but make sure you have matches as a backup. 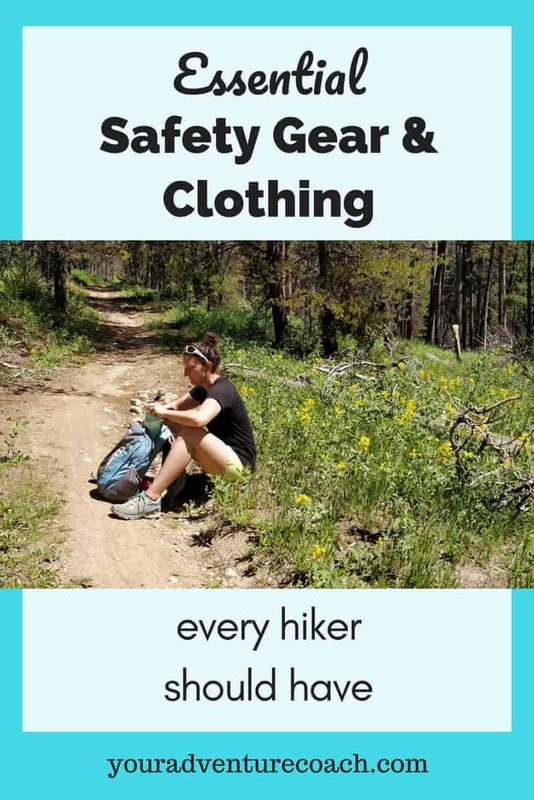 Whether you are a beginner or an experienced hiker, the above items will help you stay safe and enjoy your hike. From your local park to the backcountry, the right clothing and gear will help protect you no matter where the trail leads you. Let us know something you never leave home without in the comments below. Jenny has been managing marketing campaigns in the glamorous world of wholesale t-shirts for 7 years. She can coordinate a tradeshow and get the holiday cards out on time while planning the spring Facebook campaigns. Jenny is a blogger and social activist. 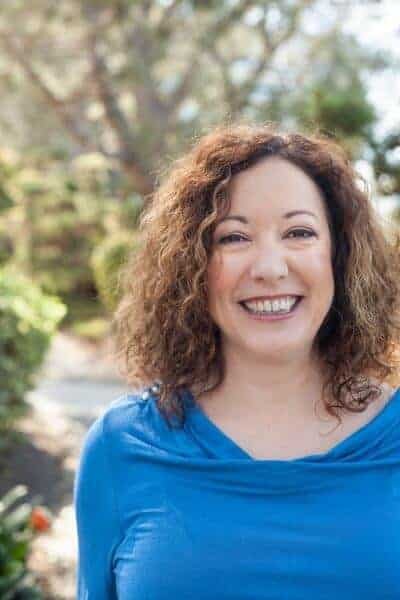 She helps companies manage their online presence and connect with their customers. Jenny has a young family and great group of loved ones she spends her free time with. She loves cats, coffee, and book club! If you enjoyed this post, share it! Success! Be sure to check your email. Are you tired of the aches and pains that come with heavy backpack? The lighter your pack is, the faster and farther you’ll be able to go. And your body will feel better doing it! Buy the backpack weight calculator, enter in the weights of your gear items, and see how much weight you can leave behind. Still can't find what you're looking for? Check in my FAQ's or contact me.